Last week I had an end of year dinner for Common Ground (CoGro), the coffee shop on campus I started working in back in October. I’d never really thought of it as any more than a job when I applied, but I realised last week that I’ve made a whole family of Canadian friends and had a really great time working on campus. I’ve never worked during the Durham term time so I didn’t know if I’d be able to juggle a job alongside academics and, of course, the exchange travel attitude. I knew, though, that exchange would involve a lot of travel, and gigs and weekend trips and meals out and shopping in North American shops that we don’t have in England, so I applied for CoGro back in September purely as a way of earning some serious dollars to be able to eat. As an exchange student you’re given priority at the first stage and guaranteed an interview because you can’t work out in the town on a student visa, only on campus. The interview was very scary and very different to interviews I’ve had in the UK. It involved five managers, sitting across the largest desk you’ll ever see from little old Beth with the funny British accent. 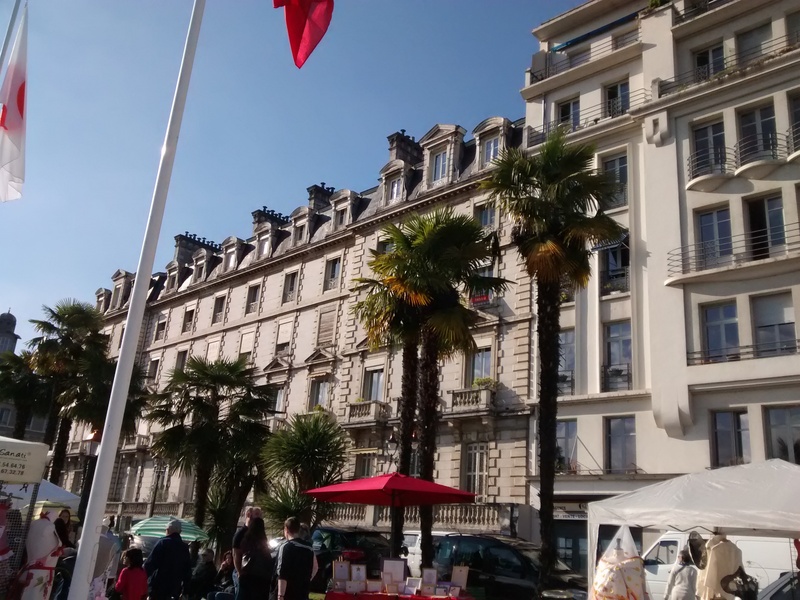 The small city of Pau lies in the South-West of France, a few kilometres away from the foot of the Pyrenees. I will be living here for around 5 months while I complete my internship for a well-known engineering company.